Labradoodle is a designer dog breed made by crossing Labrador Retrievers with Standard or Miniature Poodles. There are many types (F1/F1b/F2/F2b/F3) and sizes (miniature/standard) of Labradoodles. The best way to forecast the personality of your puppy is to look at the parents, their breed characteristics and know you can get any combination of any of the characteristics found in either parent’s breed type. They are intelligent, tolerant, friendly, and affectionate. Hybrids of all generations are friendly with everyone including strangers and kids, which makes them an ideal choice as a family dog. Due to their affable, outgoing personalities, these designer dogs also make excellent companions for people with disabilities. They are cheerful, trustworthy, gentle, affectionate, smart and highly trainable animals that have a high desire to please. The Standard Labradoodle should be 22 to 24 inches high for male and 20 to 22 inches high for female, weighing 45 to 70 pounds (some specimens can grow larger). Medium Labradoodle should be 18 to 20 inches high for a male and 17 to 19 inches high for a female, weighing 30 to 45 pounds. What is a mini Labradoodle? How big is a mini Labradoodle? The Miniature Labradoodle is the result of a Miniature Poodle crossed with a Labrador Retriever. These dogs tend to range in size from 13 to 20 inches in height and 15 to 35 pounds in weight. The Labradoodle (or American Labradoodle) is only a Lab and Poodle hybrid. 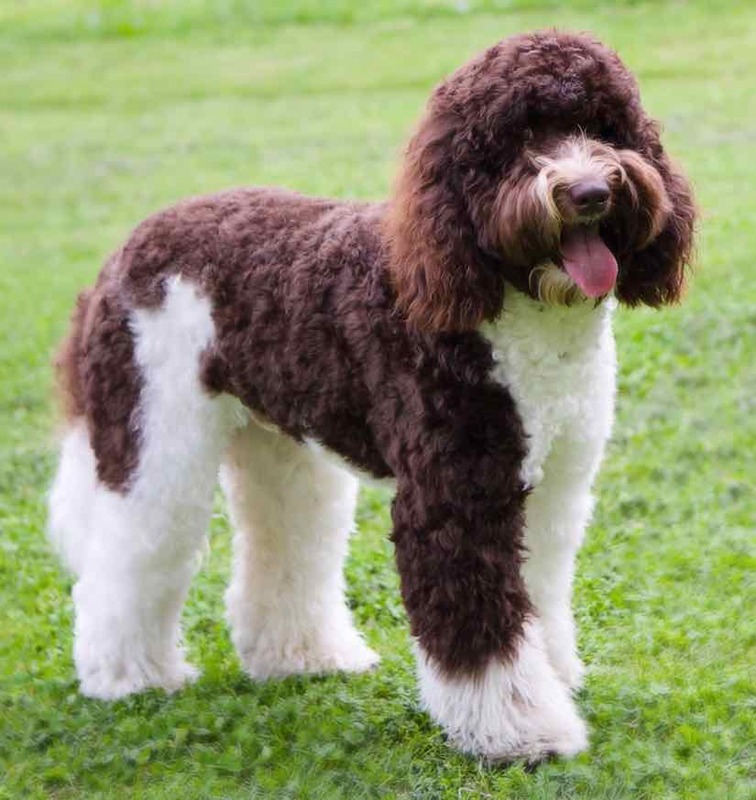 The Australian Labradoodle (also known as the Australian Cobberdog) has evolved from Poodles, Labrador Retrievers, Irish Water Spaniels, Curly Coated Retrievers, American and English Cocker Spaniels, Soft Coated Wheaten Terriers and Portuguese water dogs. 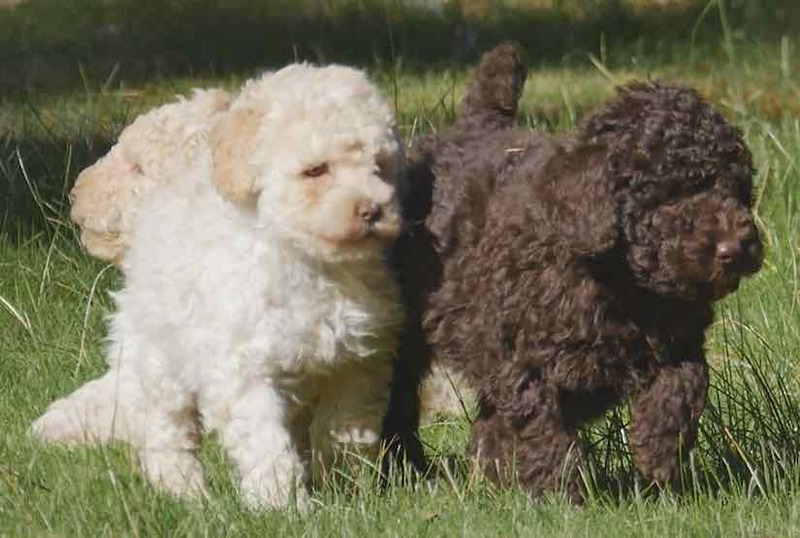 The Australian Labradoodle breeder you approach may be able to further clarify which breeds he or she has introduced in the breed. 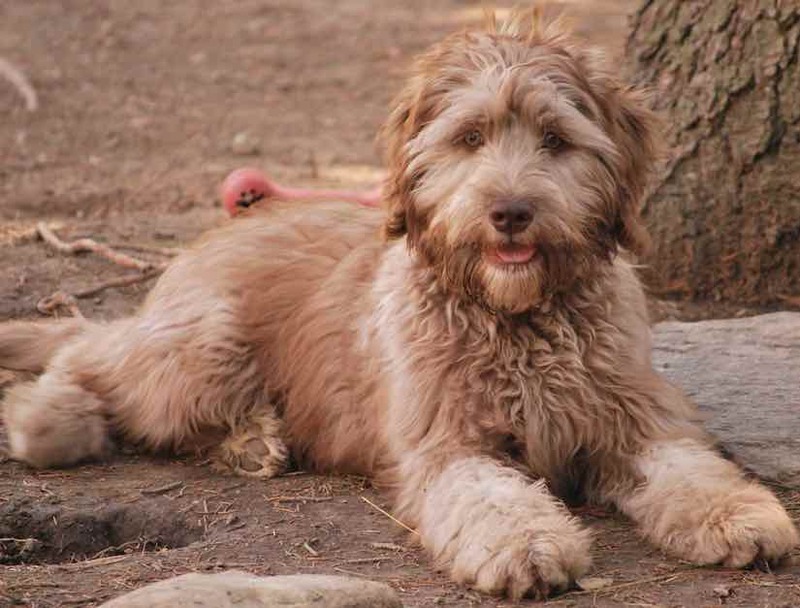 Australian Labradoodles are often beautiful, unique designer dogs. Do Labradoodles become fat like Labs? An F1 Labradoodle who has inherited the ‘overeating gene’ from a purebred Labrador parent may become fat. However F1b Labradoodles are almost never fat and will not overeat. Is the Labradoodle Hypoallergenic? Do they shed? 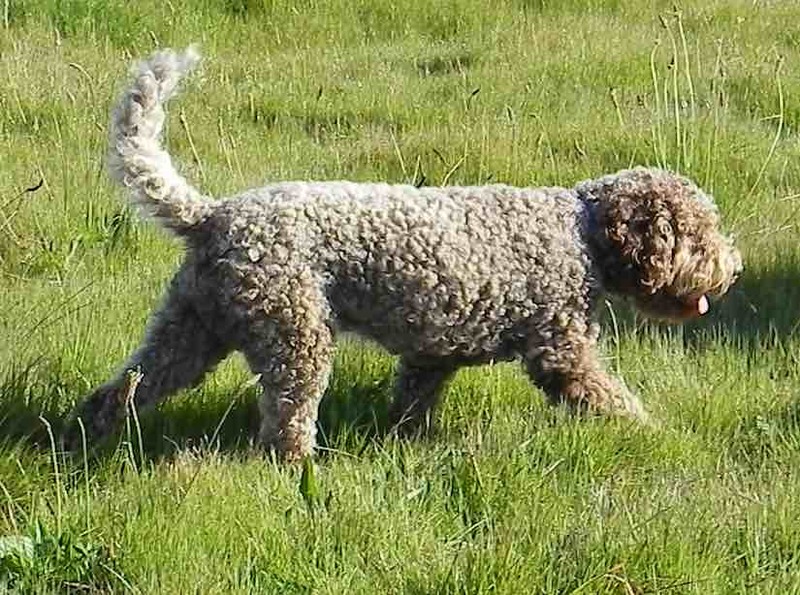 Although not all Labradoodles exhibit the non-shedding hypoallergenic coat type of the standard poodle, most specimens do have a low to non-shedding coat. The Labradoodle may shed less than a labrador retriever, but the degree of shedding will vary from dog to dog. In designer dogs, no two dogs are alike. 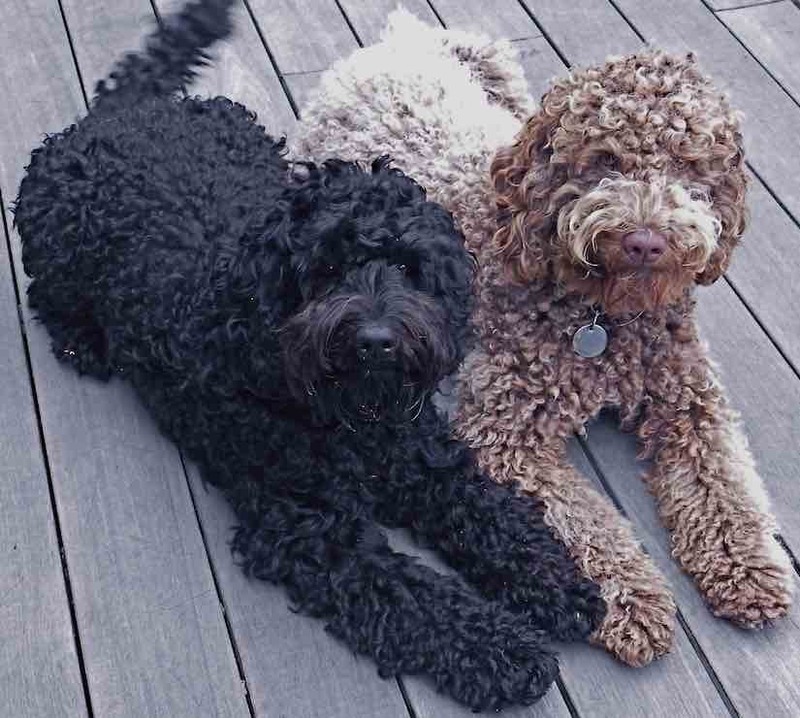 An F1b hybrid puppy from one purebred Poodle and an F1 Labradoodle as parents has the maximum probability of being hypoallergenic. What is an F1 Labradoodle? Do they shed? F1 Labradoodle is the first generation of hybrids bred from purebred Labrador Retriever and purebred Poodle as parents. 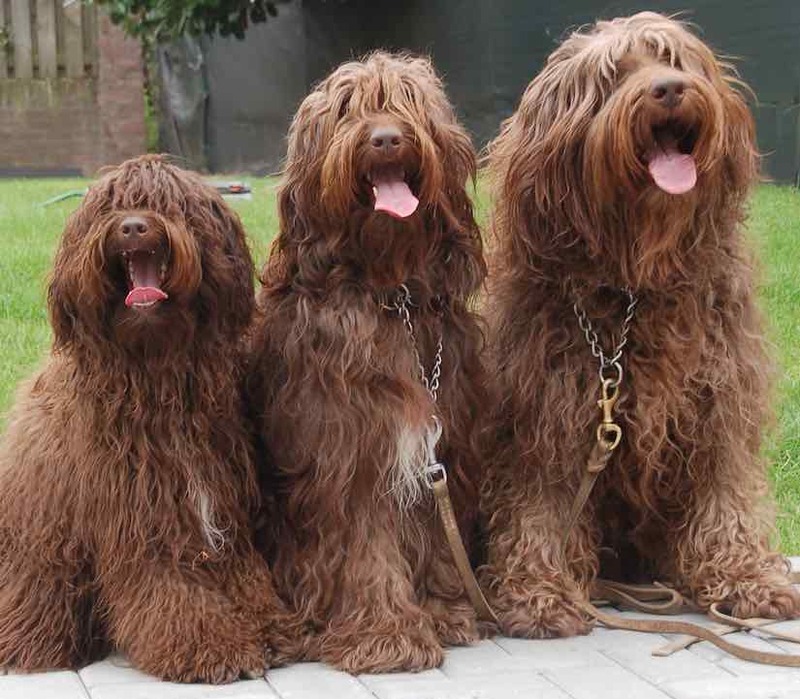 F1 Labradoodle generation has a higher risk of shedding, but some do not shed. When they do shed, most shed lightly and some shed moderately. They do not shed as bad as the Labrador Retriever. What is an F1b Labradoodle? Do they shed? 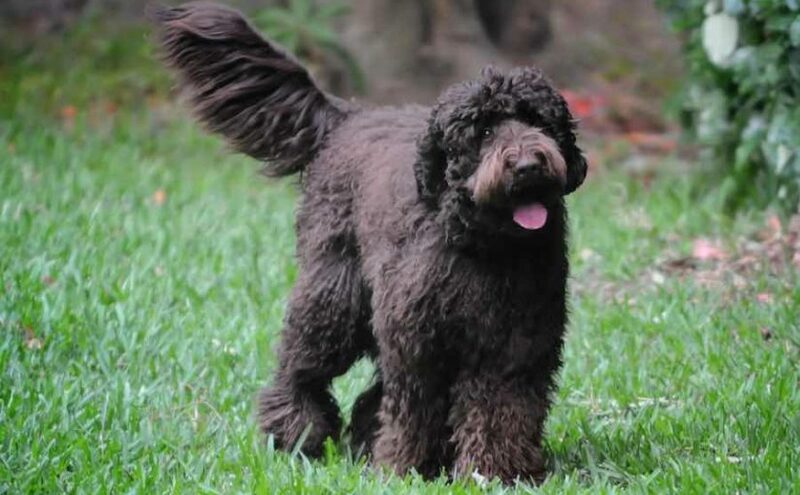 The F1B hybrid is 75% Poodle (one purebred Poodle and an F1 Labradoodle as parents). F1B hybrids have beautiful curly plush coats and have the maximum chance of being non-shedding like a Poodle. What is an F2/F2b Labradoodle? Do they shed? The second generation Labradoodle (F2 or F2B) is produced by crossing the (F1 X F1 = F2) hybrid or a (F1B X F1 = F2B) hybrid. They also have a high success rate for non-shedding and are recommended for families with moderate to severe allergies. White, cream, apricot, gold, red, and sometimes gray and black. Labradoodle vs Goldendoodle – which one is better? This is a tough question. 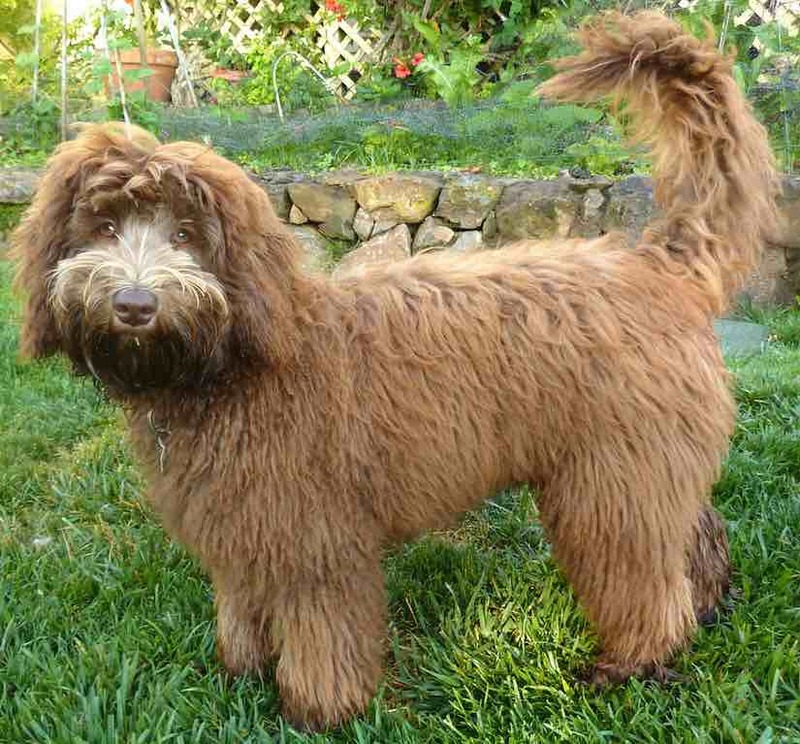 Goldendoodles have a more beautiful wavy curly coat (slightly longer coat) than Labradoodles. Both are smart. A Labradoodle may be more tolerant and willing to please than a Goldendoodle. If you want a better-looking dog and don’t mind the slightly higher maintenance, choose the Goldendoodle. Also, F1b generations have the maximum probability of being hypoallergenic. Searching for physical confirmations will help you in picking up a good Labradoodle puppy. However, remember that this is a designer dog and a unique mix of characteristics can be observed in each designer breed. No two designer dogs are alike! Look for the following physical characteristics. General Appearance: The Labradoodle is a symmetrical, powerful, active dog, sound and well put together, not clumsy or long in the leg, displaying a kindly expression and possessing a personality that is eager, alert, and self-confident. Neck: Medium long, sloping well back into shoulders, giving a sturdy muscular appearance. Tail: Well set on, carried high, should not be too low.